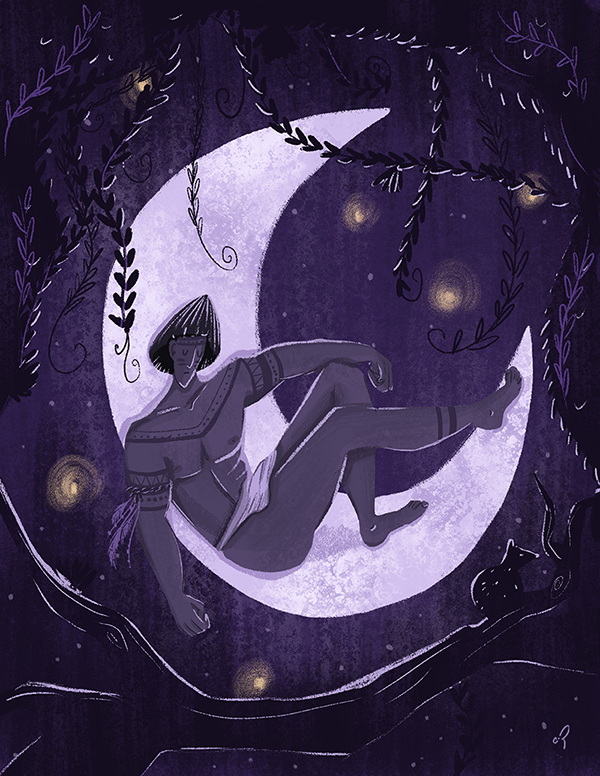 There are many interesting mythological creatures in brazilian folk tales, so I chose some of the amazonian myths to portrait in a serie of illustrations! Many of them, as many myths around the world were created to make some sense out of many "unbelievable" situations that happened at the forest - many of them involving the native brazilian tribes. 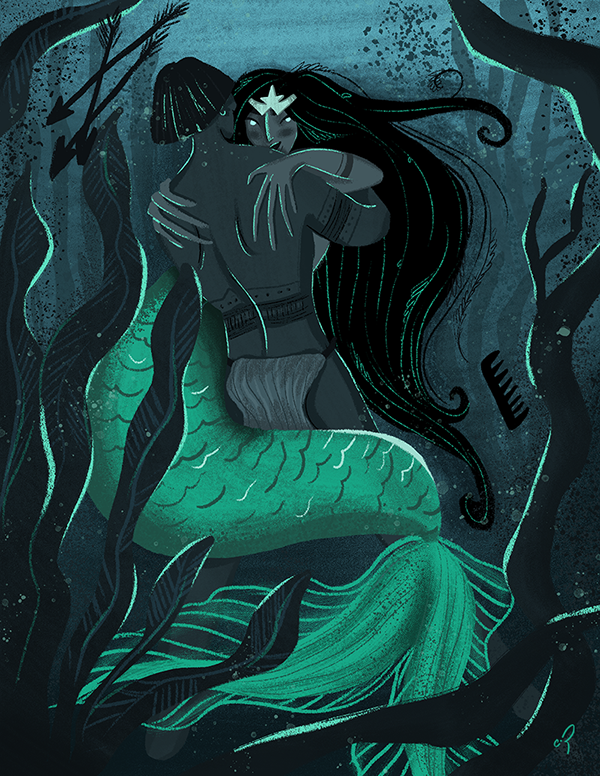 Iara is described as a very beautiful woman that seduce men and trick them to get into the river, and then tries to drag them down to the bottom to drown them. The myth of the moon tells the story of this native called Manduka that every night slept with his sister without her knowing who he was. Until one night she marked him with a natural paint that comes from a fruit called Jenipapo, and by the morning she discovered who he was. He was so embarassed about the whole situation that he climbed the tallest tree of the forest bringing an animal called cotia with him, to keep him company. He ended up turning into the moon. The myth of the 'Vitória Régia' tells the story about a young native woman that every night, walked through the mountains hoping that when the moon (that in the story is called Jaci) left the sky by the morning it could take her with it and turn her into a star One night, she approached a lake and suddenly, saw the reflection of the moon on it, and thought that it came to take her, so she jumped into the lake without knowing how to swim and ended up drowning. 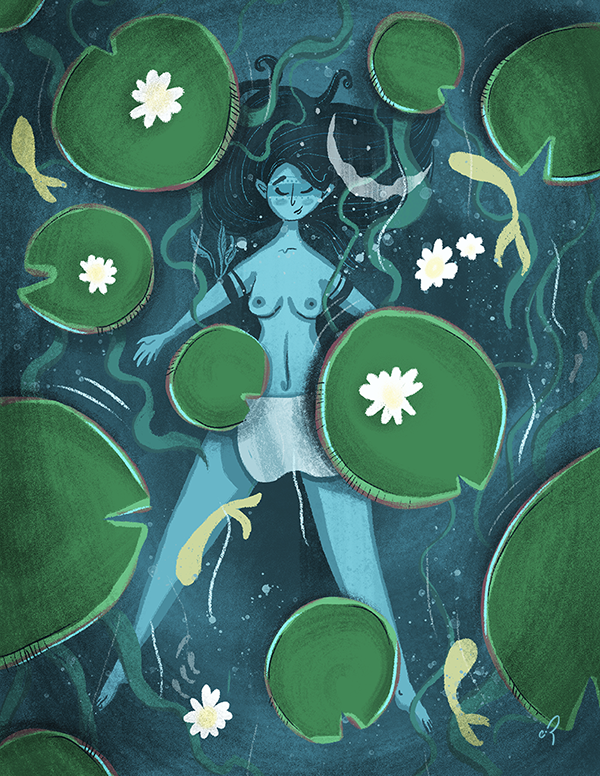 The moon was very sorry for what happened, and took pity of her and turned her into a very beautiful and unique 'water' star: a water lilly, known in Brazil as 'Vitória Régia'.